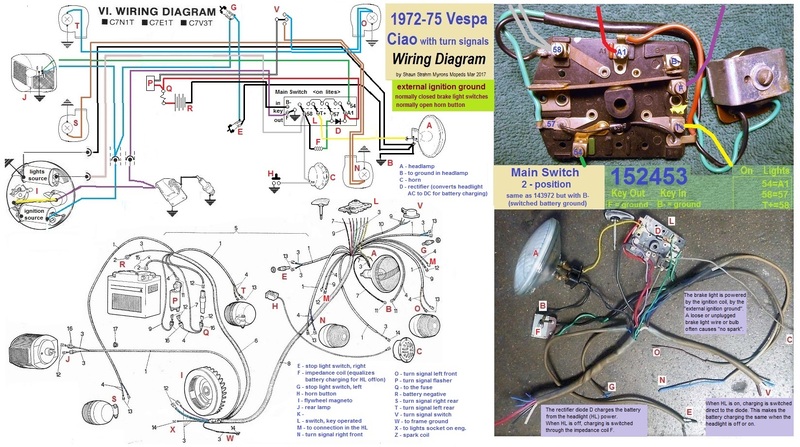 This table of Piaggio part numbers contains most electrical parts on most US models. 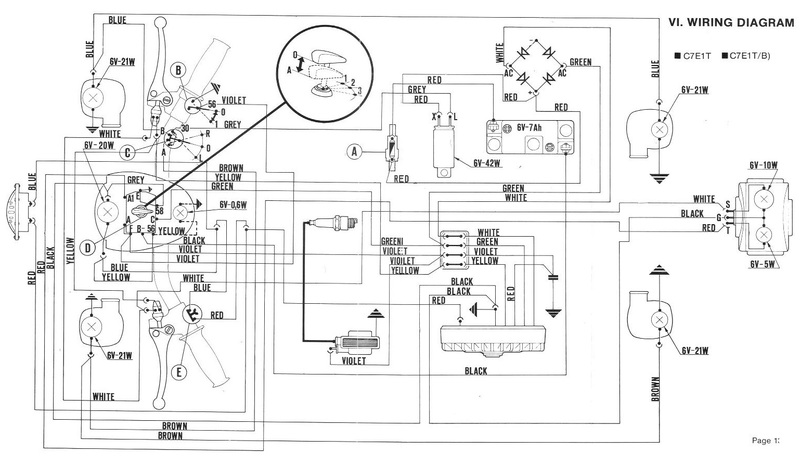 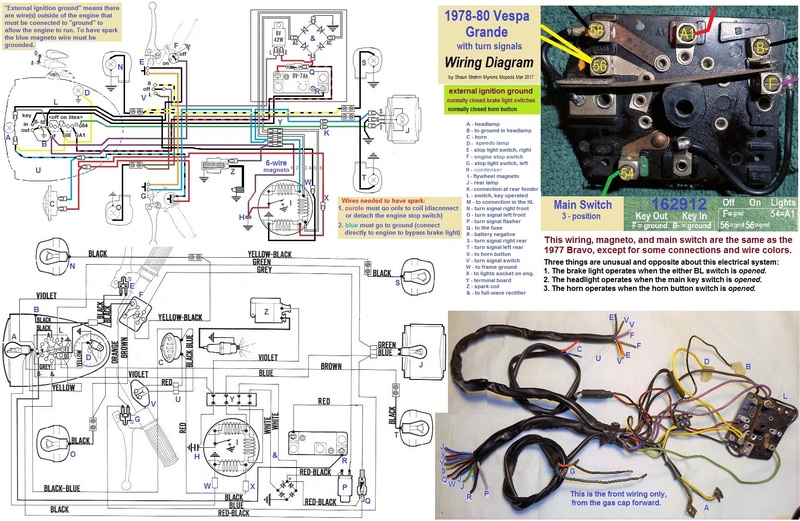 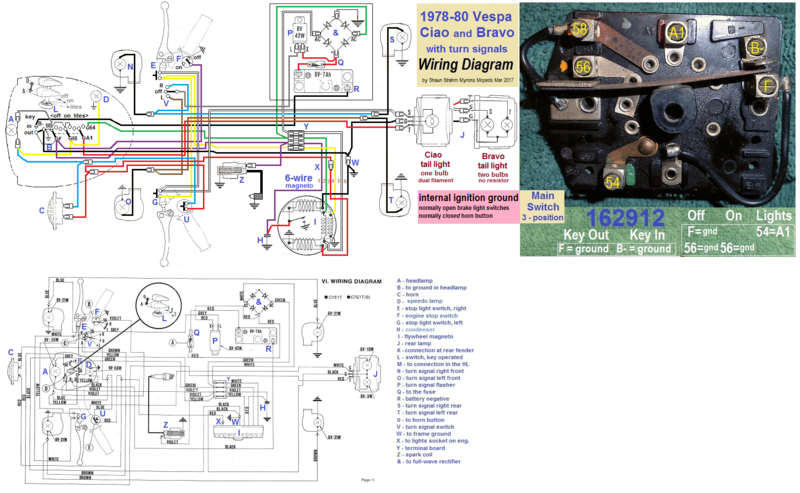 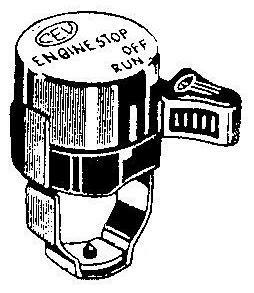 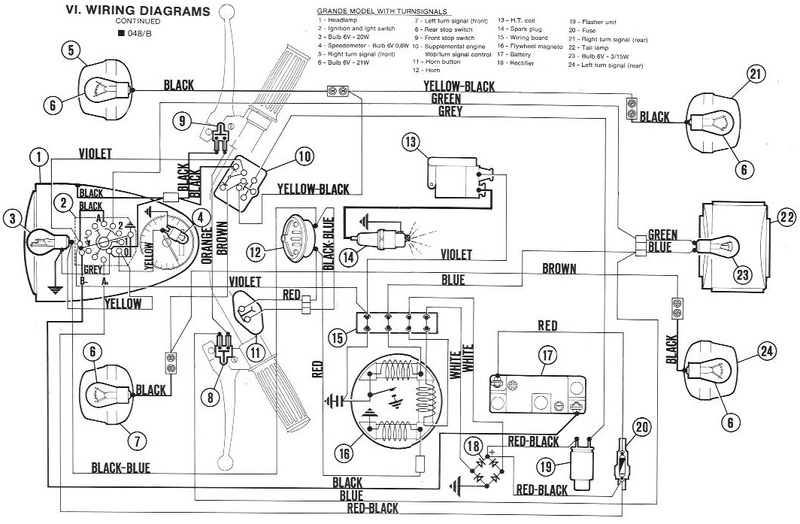 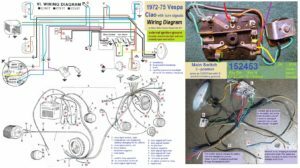 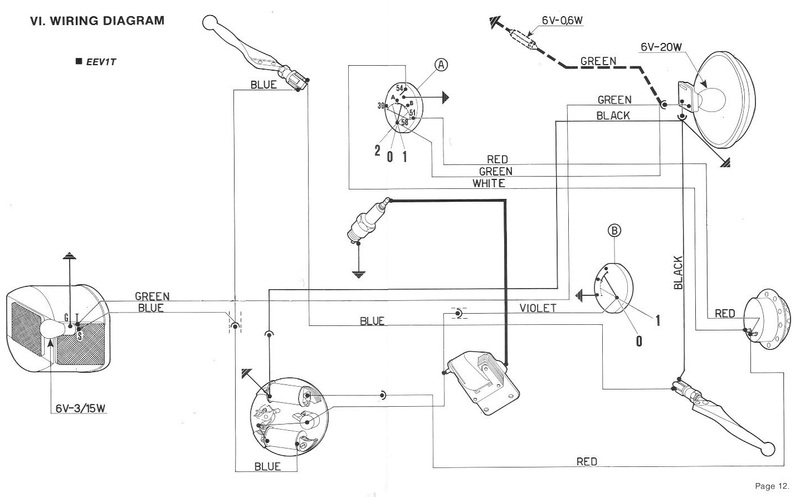 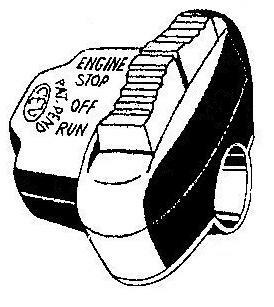 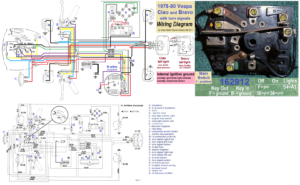 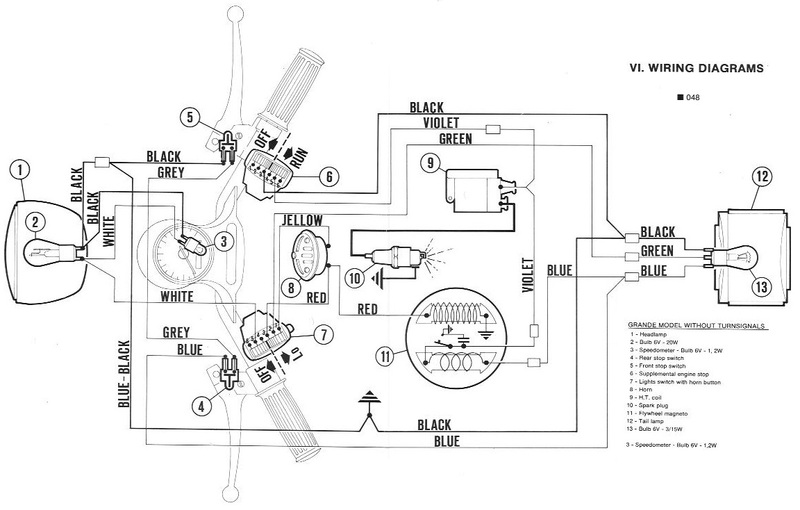 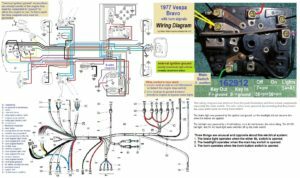 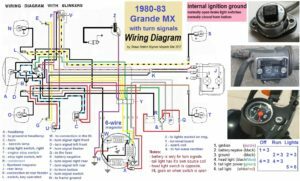 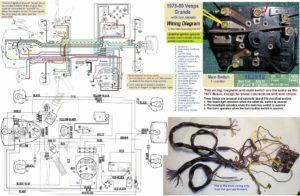 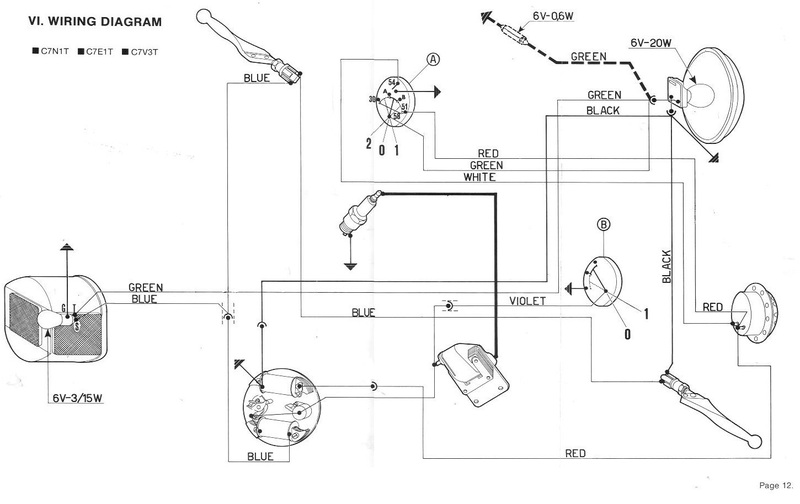 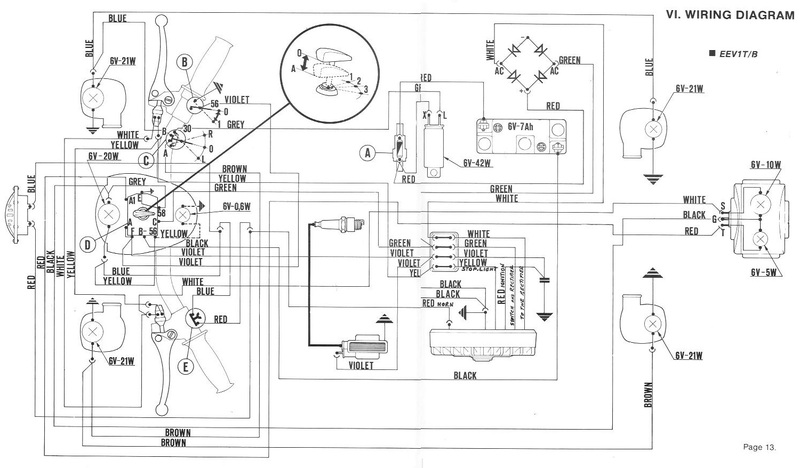 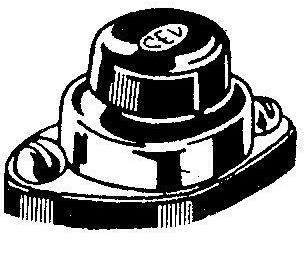 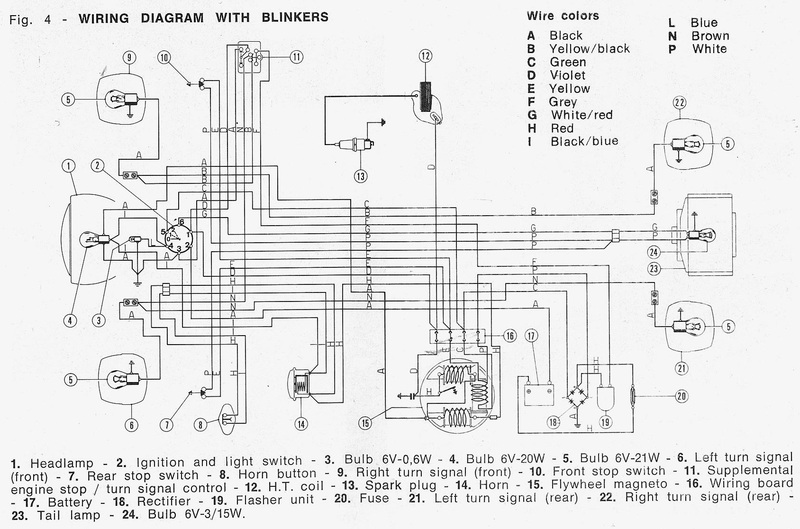 Original wiring diagrams were scanned from original Owners Manuals, or Assembly and Preparation Manuals. 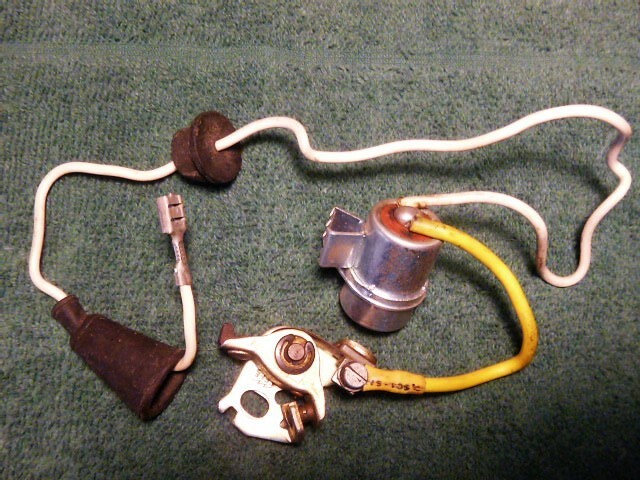 All of these have an external ignition ground, which is the blue magneto wire. 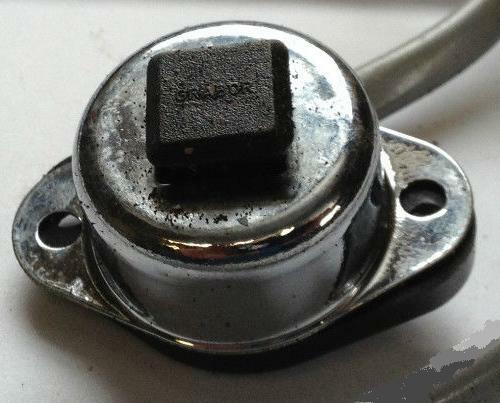 It must be connected to ground in order to have “spark”. 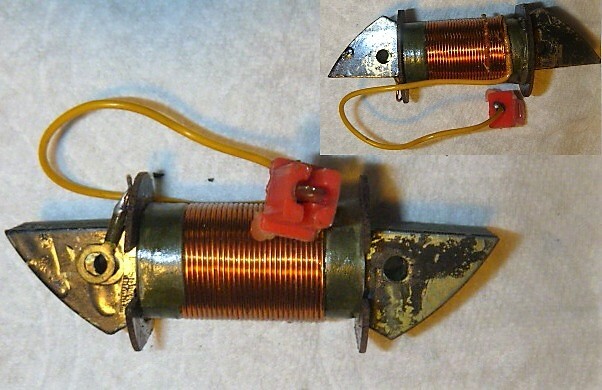 Most of these have an external ignition ground, which is the blue magneto wire. 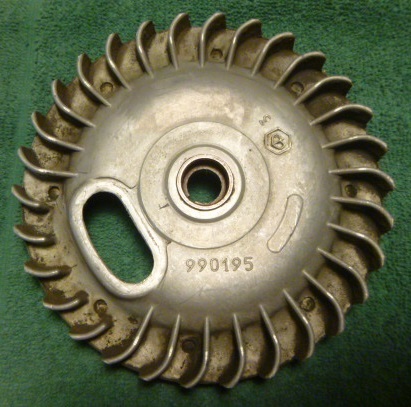 It must be connected to ground in order to have “spark”. 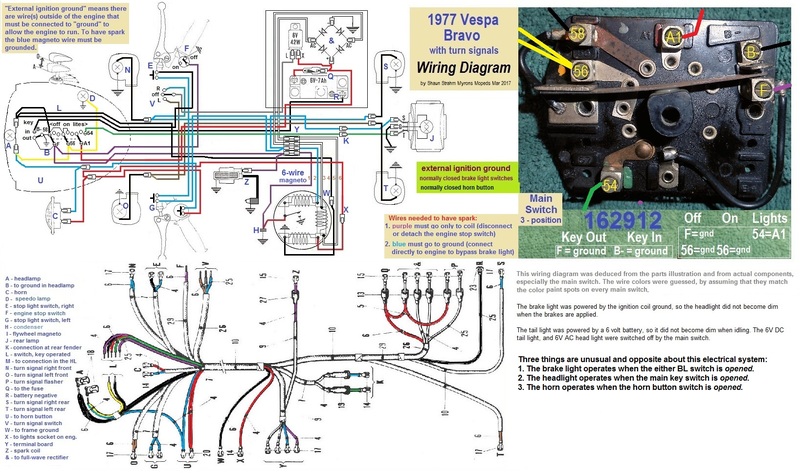 Making these wiring diagrams was difficult and took over 150 hours of study. 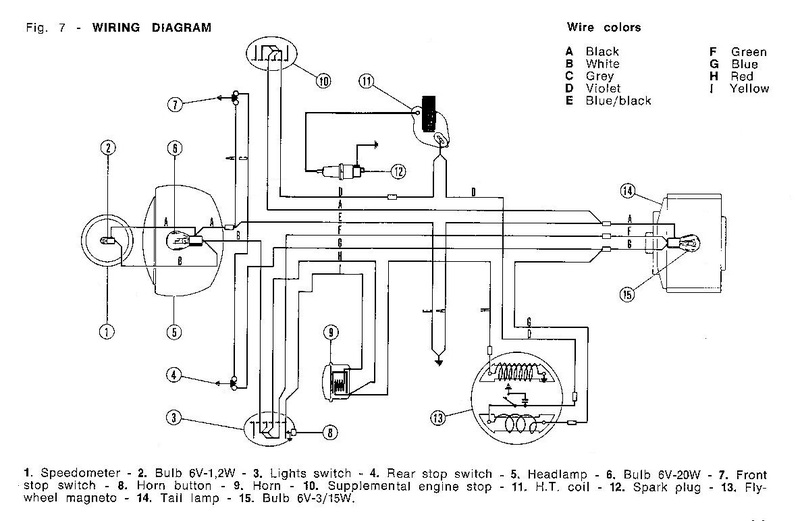 Some original diagrams were not available. 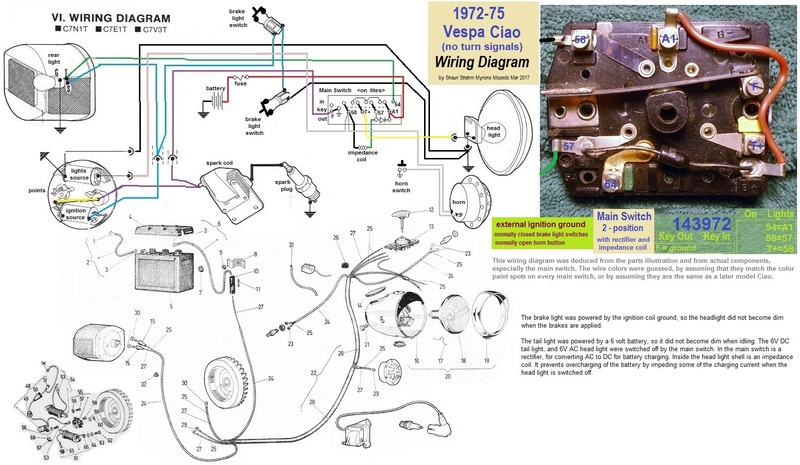 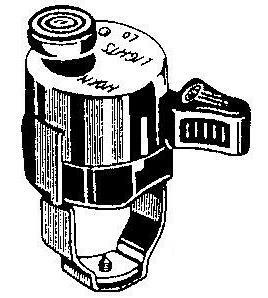 To produce them, 1) all the Vespa USA-models and years had to be identified, 2) the parts catalogs and amendments were studied to make the table of electrical part numbers, 3) actual parts from Myrons inventory were photographed, or images from the internet were collected, to identify every electrical part, 4) some of the parts, especially switches, were tested to determine their internal wiring and function, 5) some actual wirings from stripped out mopeds were photographed and studied, matching each actual wire to the diagrams. 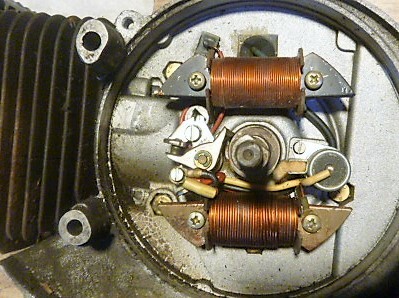 Top coil is ignition source coil. 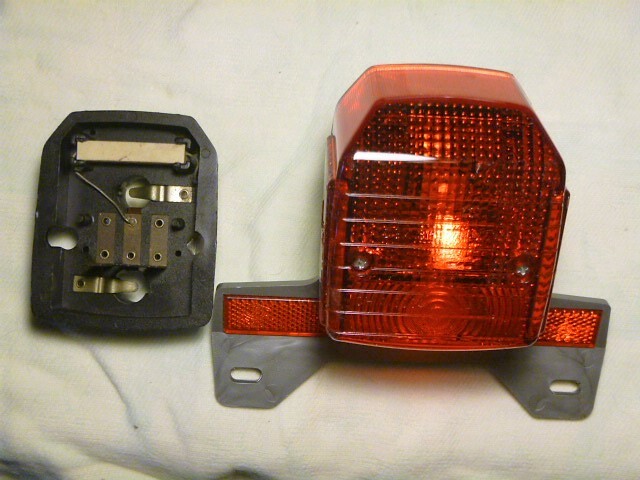 One end (red with eyelet) goes to the points. 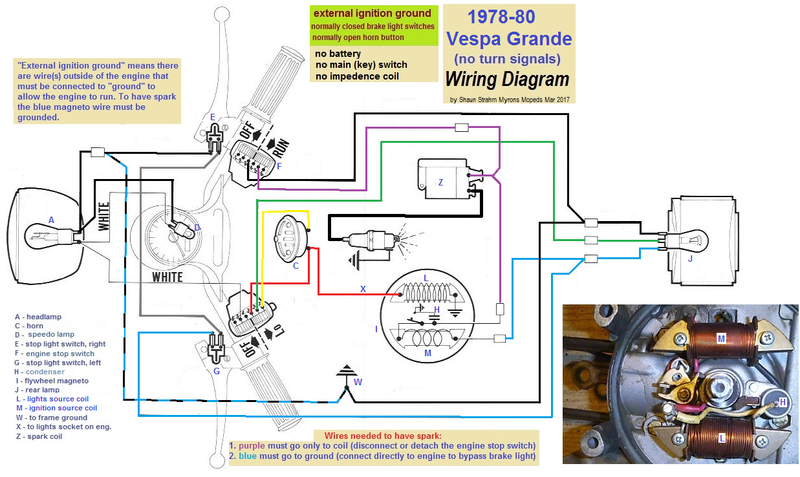 The other end goes to ground, either internally or externally. 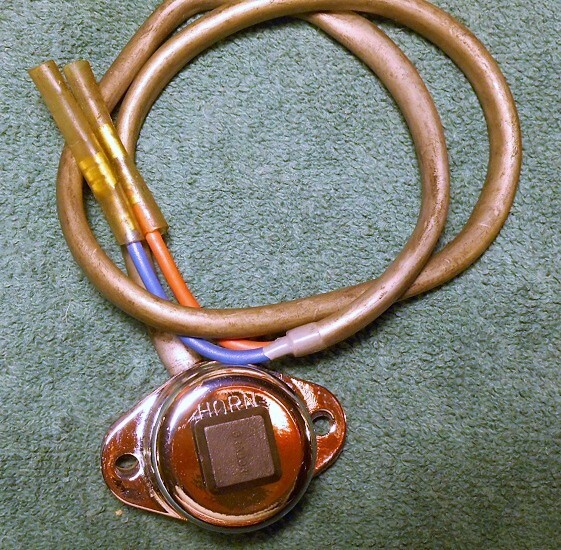 Bottom coil is lights source coil. 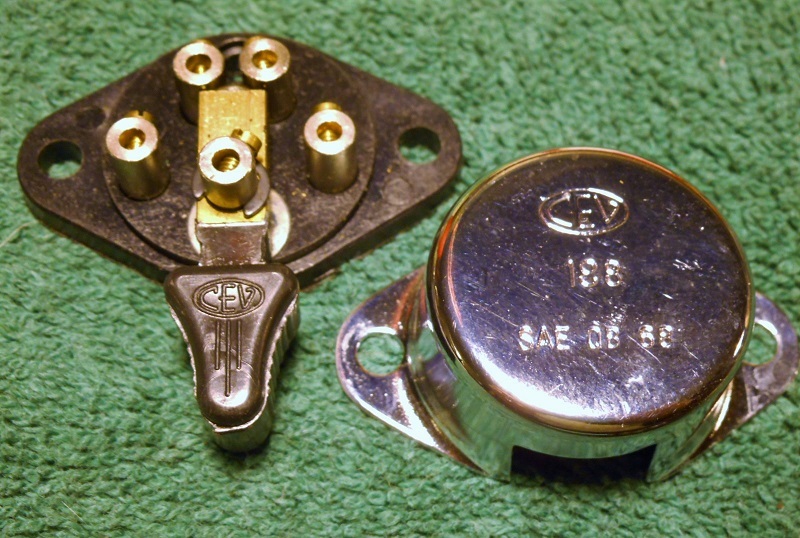 One end is grounded internally. 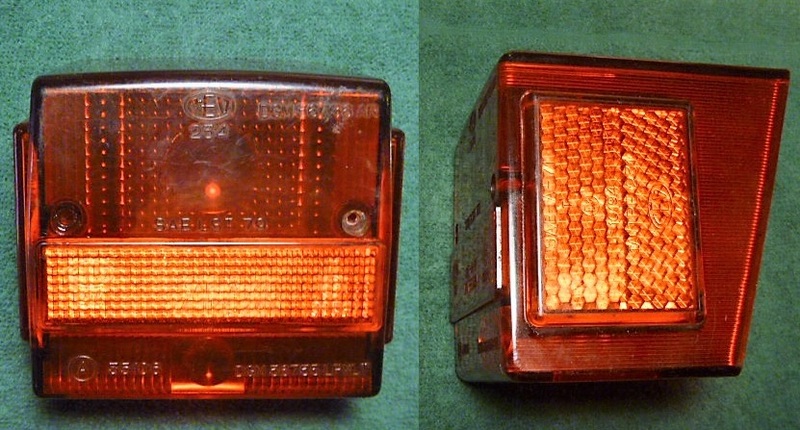 The other end (with red plug) goes to the main lights. 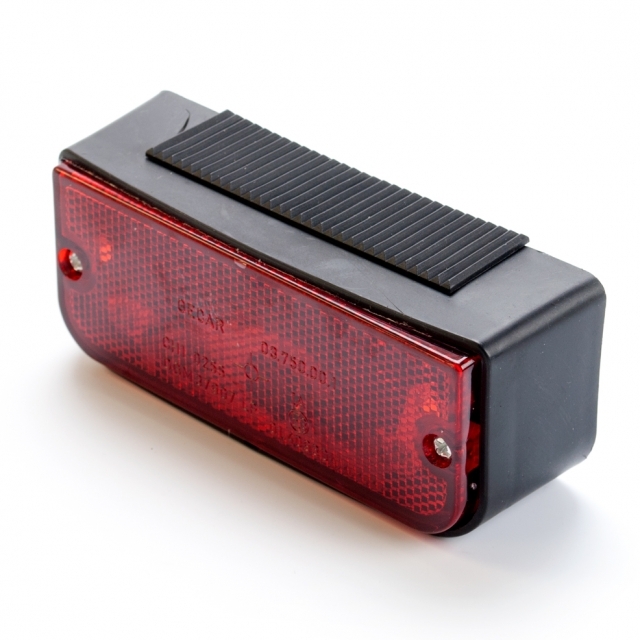 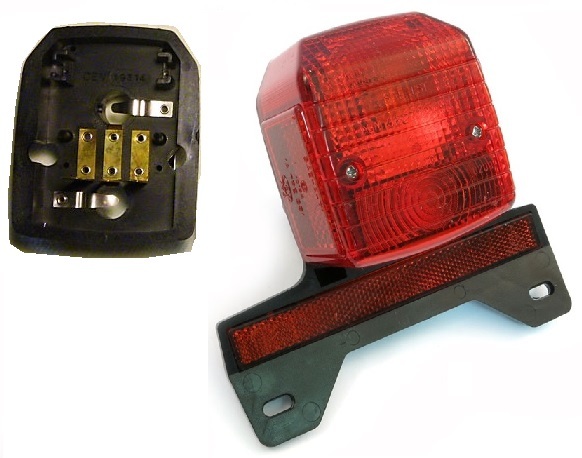 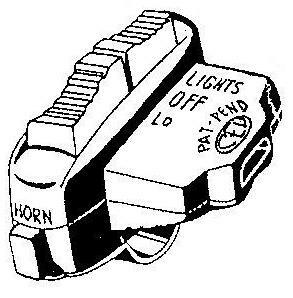 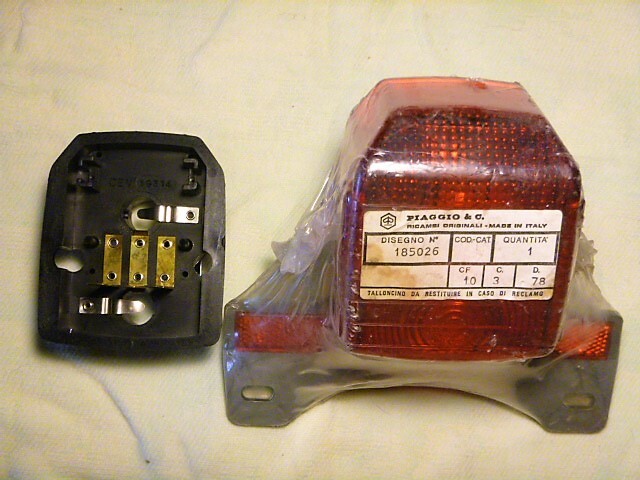 Side coil is auxiliary lights, only on turn signal models. 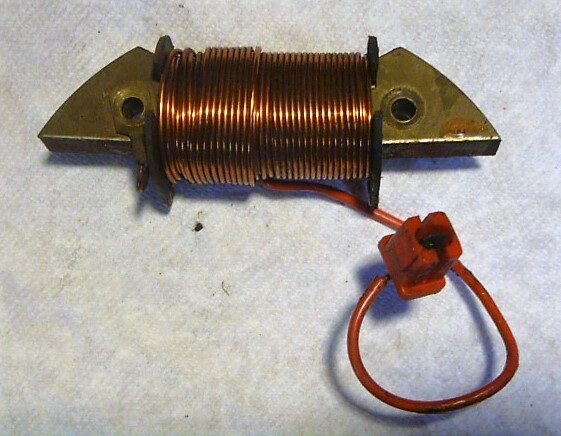 Both ends go to a rectifier for battery charging. 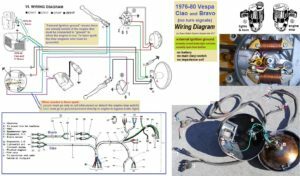 Bad wires: 1970’s Vespa moped wires are often corroded badly. 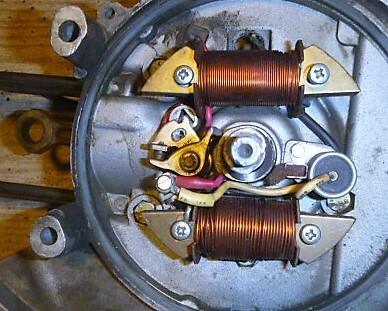 They all have faded brittle insulation that breaks in places, exposing the braided copper core. 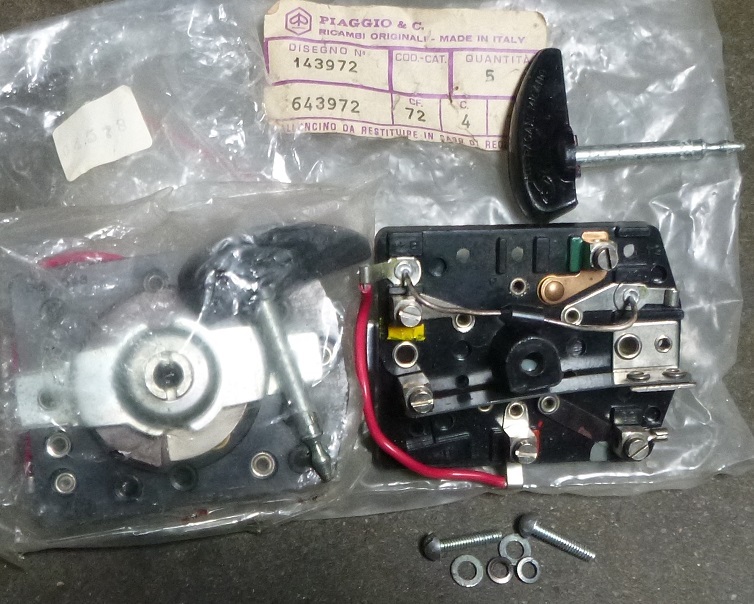 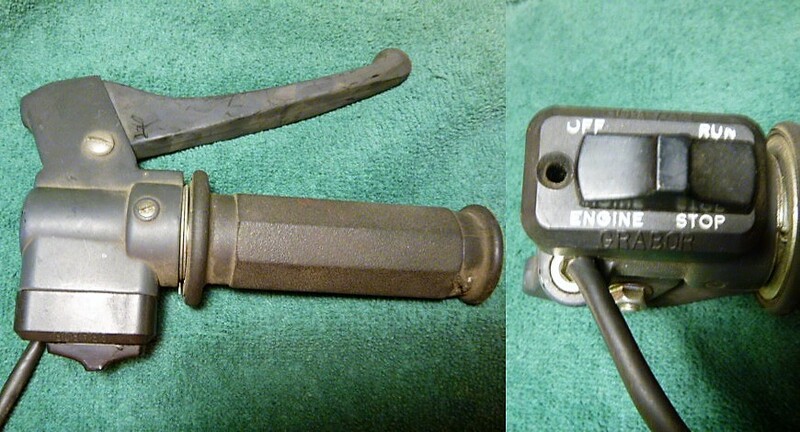 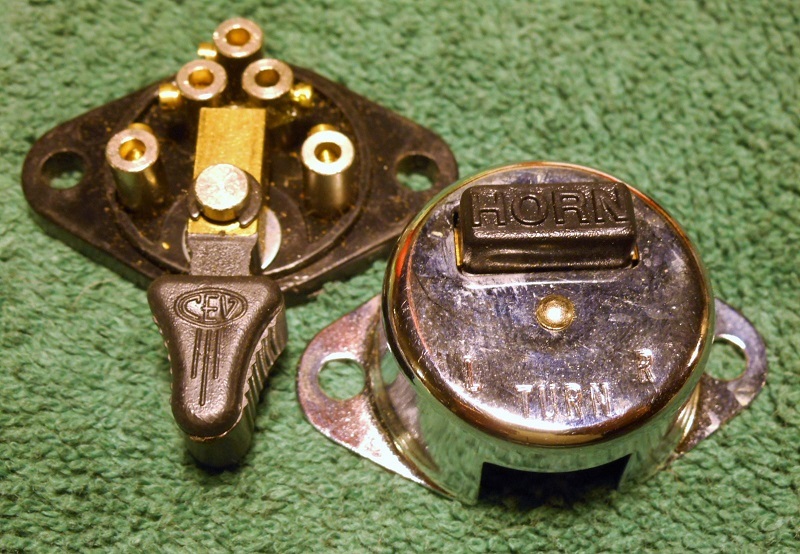 Here is a turn signal model Ciao with a vital wire shorting out secretly behind the points. 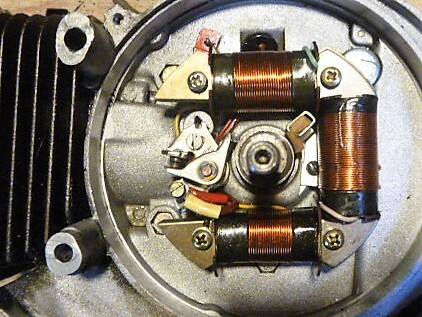 All of the wires near the engine are cracked and corroded badly, in places. 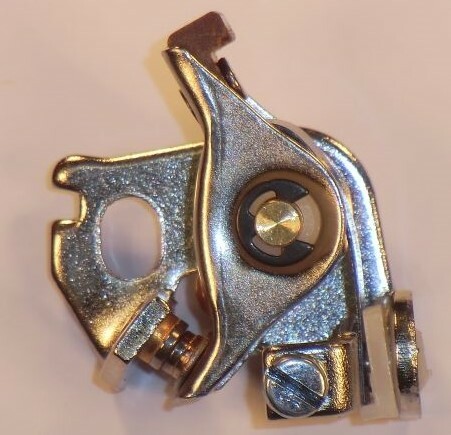 They break like glass when you try to bend them. 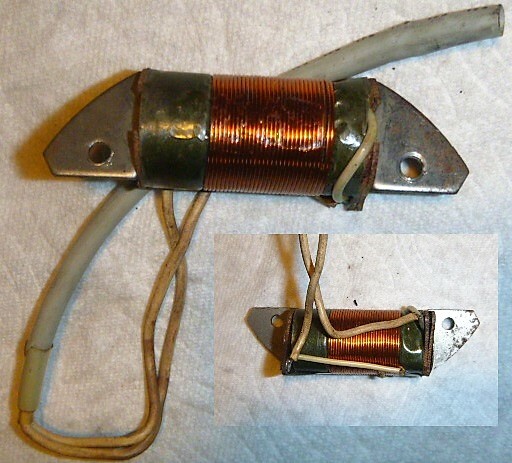 Bad wires: The bad wire shown above is this condenser wire. 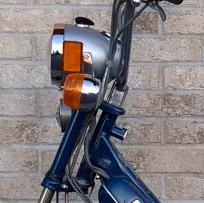 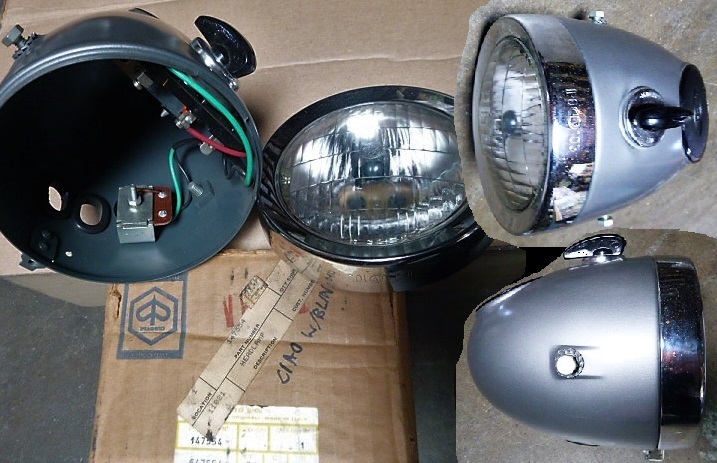 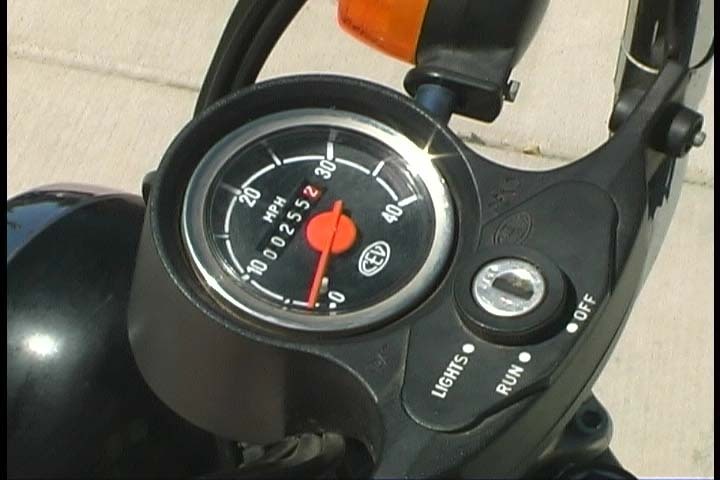 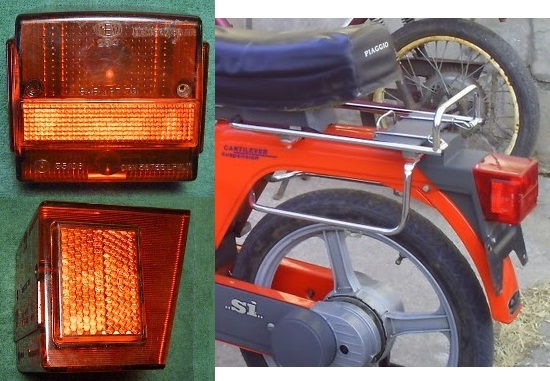 This is a turn signal model Ciao, with the condenser mounted externally. Non-turn-signal models have internal mounted condensers. 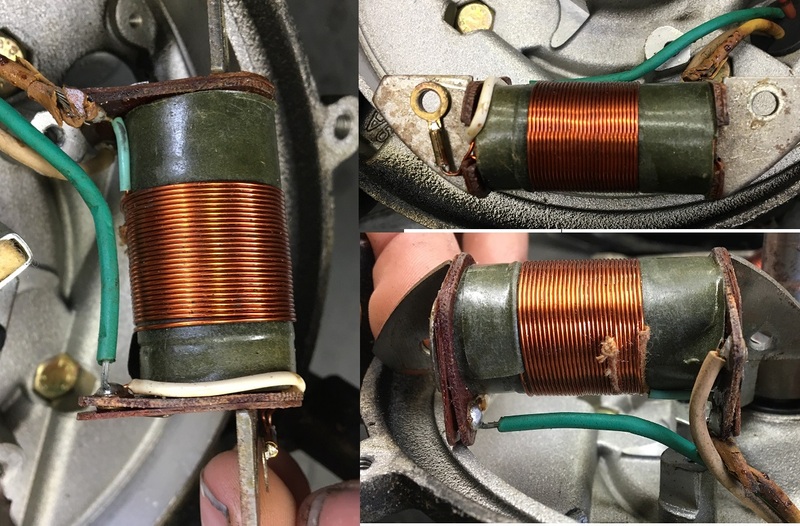 This poor wire is actively shedding green flakes of copper oxides. 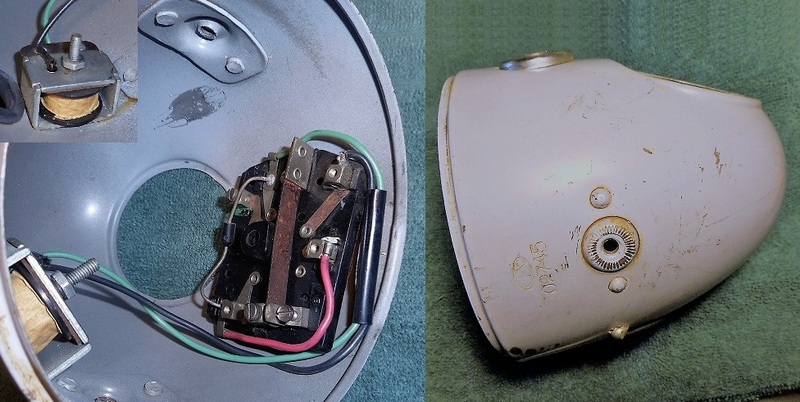 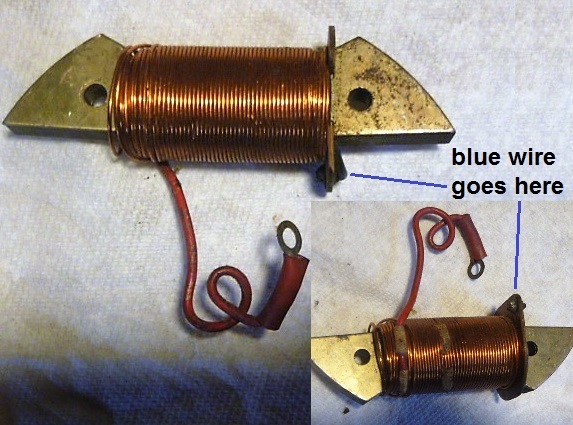 Also note that the blue wire (external ignition ground) is faded to dark grey. 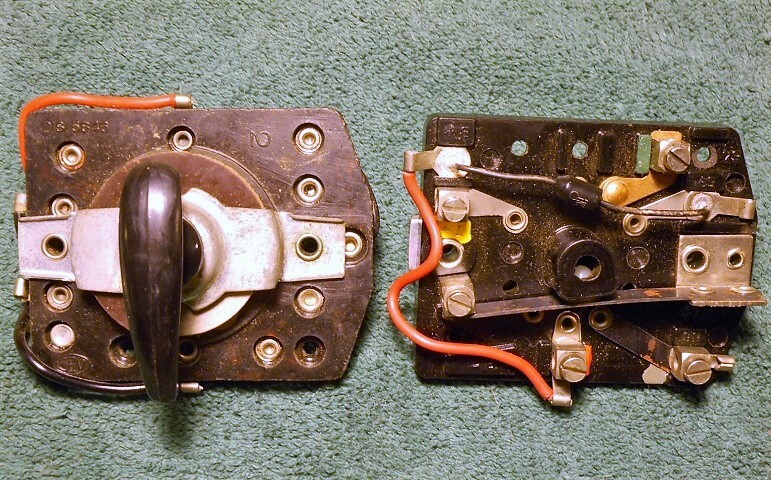 It is also cracked open and corroding. 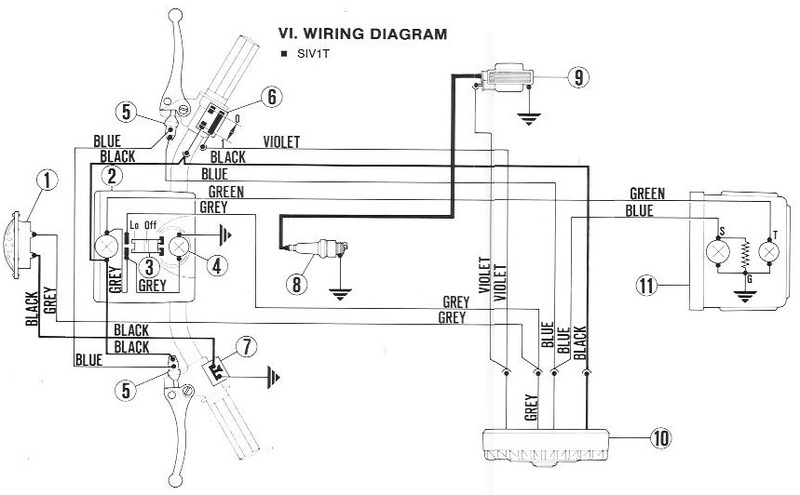 Both of these wires are needed to run. 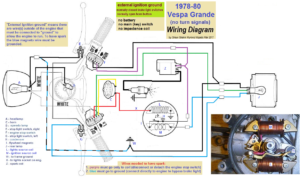 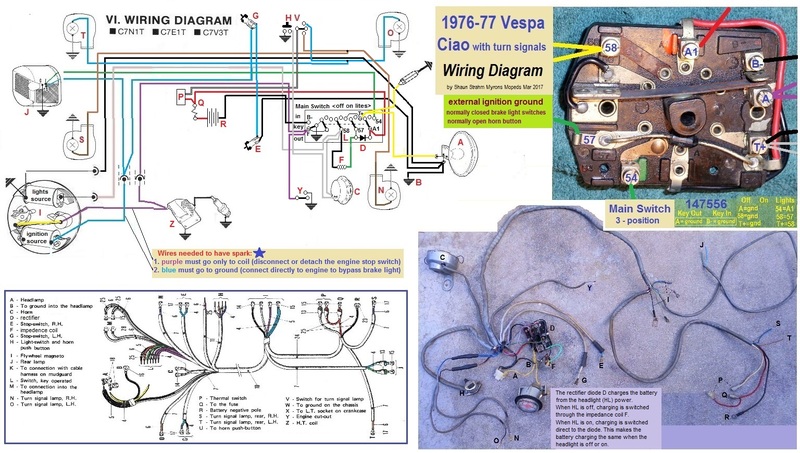 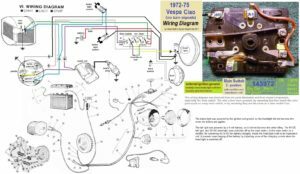 Replacing engine wires: Many 1970’s Vespa mopeds need their engine wires replaced. 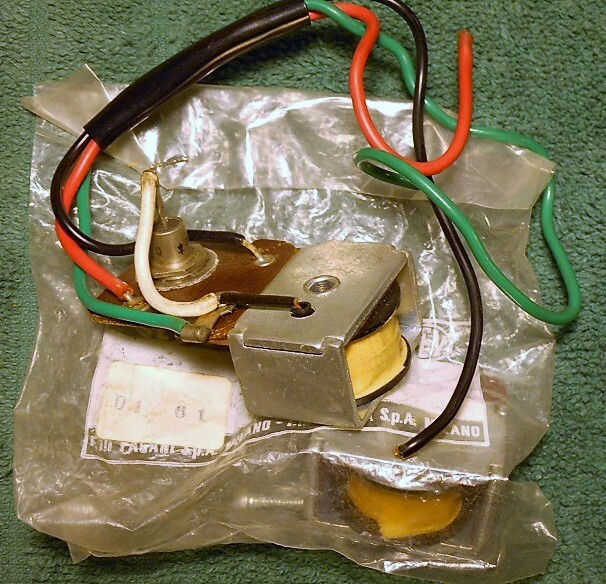 Many have intermittent or no spark, or dim or flickering lights, because of bad wires. 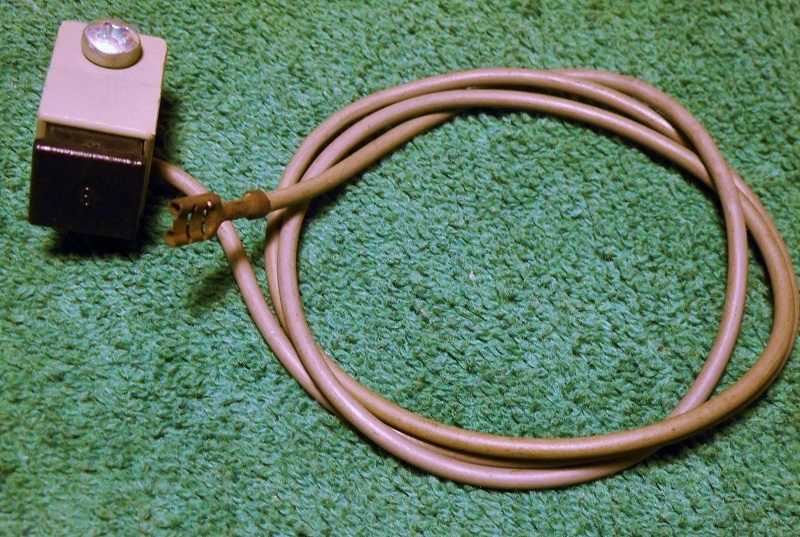 Some electronic or hardware stores sell braided copper wire by the foot, but some only have 50 ft rolls. 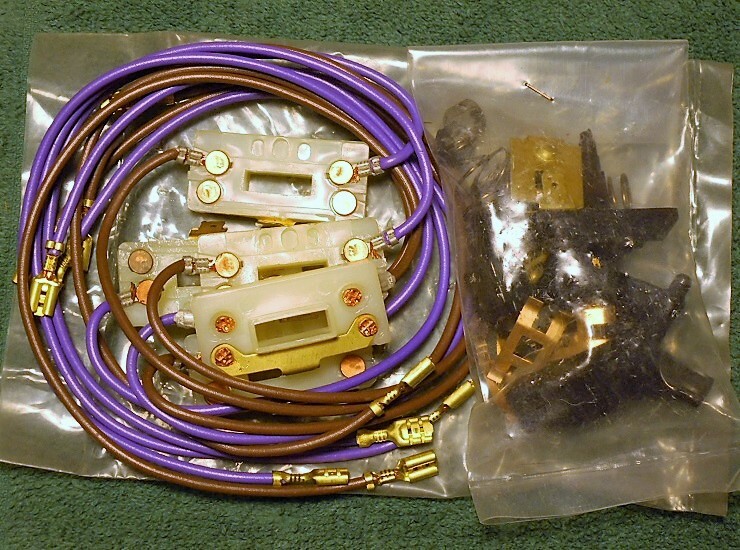 The old connectors can be cleaned and re-soldered to the new wire. 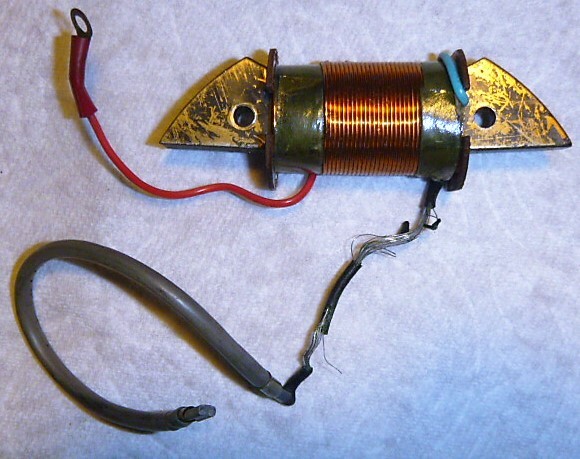 That requires good flux-core solder and some skill. 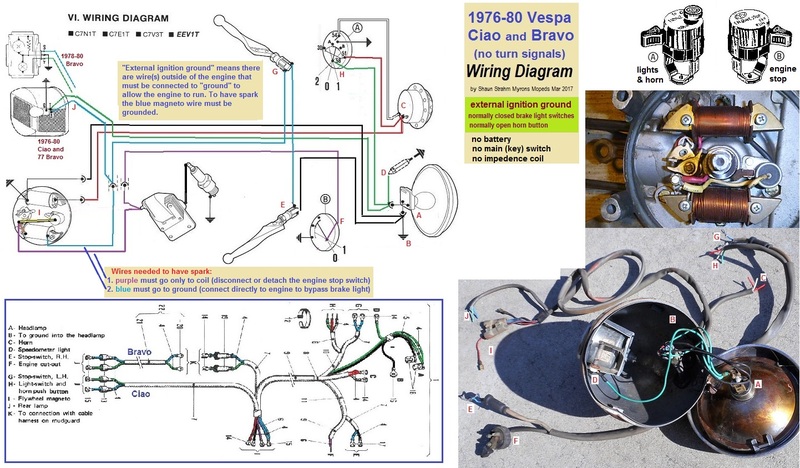 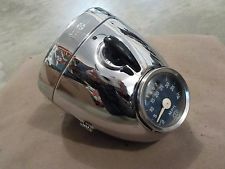 You are currently browsing the archives for the Vespa Electrical category.